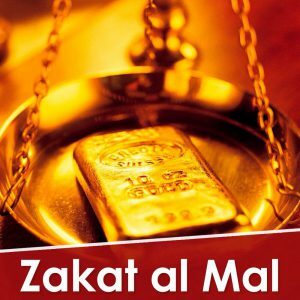 “Zakat Al-Mal” – Mandatory annual tax on the income paid by a Muslim, as soon as his property reaches one Nisab of gold (weight: 80 g.), Or one Nisab of silver (whose weight, in turn, is approximately 560 grams). From both types of Nisaba, 1/40 part (2.5%) has to be paid, which is the annual Zakat Al-Mal. This tax has to be paid once a year, since property attaining at least one Nisaba, was kept for a whole year and was not used for certain needs. Nisab (gold or silver) is achieved in regardless of the type in that it is presented (coins, bars, nuggets, dishes, scrap, jewelry, as well as money used as savings. This tax is also has to be paid from the amount (which is in circulation), from the land, from the goods, from the harvest and from the livestock, if all these types are used for profit. According to the reliable opinion of scientists, Zakat is also taxed gold, which is stored in the house and jewelry (which are stored or regularly used). Evasion of the payment of Zakat, fraught with grave consequences and severe punishment on the Day of the Great Court. “Delight those who accumulate gold and silver and do not spend them in the way of Allah, by painful suffering. On that day they (the treasures they have accumulated) will be heated in the fire of Gehenna, and their foreheads, sides and backs will be branded by them. They will be told: “This is what you saved for yourself. Taste the same as you saved! “. Zakat was collected by the rulers of Muslims in the early days and it was necessary to pay the entire Zakat to them. They, in turn, strictly in accordance with the Shari’ah, distributed Zakat among those to whom it was laid. To date, this role is assigned to the Muslim Funds, after Zakat’s arrival to the fund, employees who have knowledge of the Zakat rules, send it to those who need it most. According to the Shari’ah, when one paying Zakat, the sender does not indicate the place, or the purpose of it, this is the position of this issue. But if the donating still expresses the desire to indicate the goal of his Zakat, then we are ready to consider this proposal with pleasure, as long as it does not violate the norms of the Sharia and the charter of the Association Salsabil.